October 6th– Last date to register to vote. 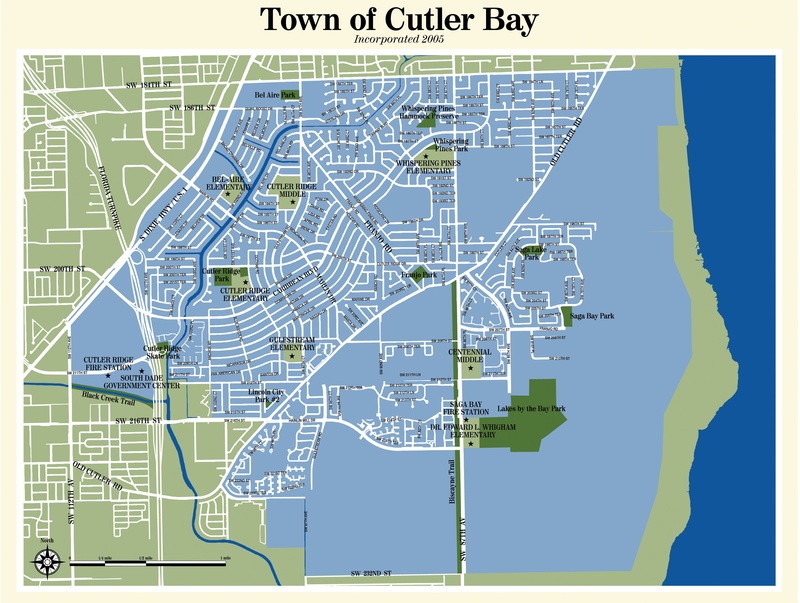 VOTING RECORD OF THE CUTLER BAY TOWN COUNCIL - updated August 2012. A list of ordinances and resolutions sponsored by individual councilmembers. Shall Judge Barbara Lagoa of the 3rd District Court of Appeal be retained in office? Shall Judge Thomas Logue of the 3rd District Court of Appeal be retained in office? Shall Judge Vance E. Salter of the 3rd District Court of Appeal be retained in office? Pedro J. Garcia – votepedrojgarcia. Amendment #1 - The Florida Water and Land Conservation Amendment – Dedicates existing funds to acquire and restore Florida's conservation and recration lands. Does not raise taxes. Read the amendment here. Amendment #2 – Use of Marijuana for Certain Medical Conditions. - Allows the medical use of marijuana for the treatment of debilitating diseases as determined by a physician. Read the amendment here. Amendment #3 – Amending the State Constitution to authorize the Governor to fill vacancies in certain judicial offices. Read the amendment here. Charter Amendment to Article 7 to Allow Libraries in Parks – Article 7 of the Charter currently provides that parks shall be used for public park purposes only and limits construction at parks to certain permissible facilities. Shall Article 7 of the Charter be amended to : (1) permit parks to also be used for library purposes; and (2) add libraries constructed within recreation facilities to the list of those permissible facilities at parks? Charter Amendment Exempting Miami-Dade Regional Soccer Park from Article 7 - Except for parks explicitly exempted by the Charter, Article 7 provides that parks shall be used for public park purposes only and construction within those parks is limited to certain enumerated facilities. Shall the Charter be amended to also exempt the Regional Soccer Park on NW 58th Street from the provisions and restrictions of Article 7? Charter Amendment on Protecting Preservation Lands and Allowing Campgrounds and Lodges/Cabins in Camp Matecumbe - Article 7 of the Charter currently provides that parks shall be used for public park purposes only and limits construction at parks to certain permissible facilities. Shall the Charter be amended to: (1) further restrict development and use of County designated preservation lands that would adversely impact natural resources; and (2) add the construction of campgrounds and cabins/lodges at Camp Matecumbe to the list of those permissible facilities at parks? Charter Amendment Exempting from Article 7 Florida International University's Expansion onto Youth Fair Site - The Dade County Youth Fair site at Tamiami Park is exempt from the public park purposes use restrictions and construction limitations in Article 7 of the Charter. Shall the Charter be amended to: • Extend this exemption to Florida International University (FIU) for its expansion onto up to 64 acres of such site upon relocation of the Youth Fair; and • Provide that no County funds be used for FIU's expansion and the Youth Fair's required relocation? Funding Court Projects through Issuance of General Obligation Bonds - Shall the County fund emergency repairs to the 1928 Courthouse and the acquisition and construction of new court facilities by issuing, in one or more series, General Obligation Bonds paid or secured by taxes derived from the assessed value of property in the County (ad valorem taxes), potentially increasing property taxes, in a principal amount up to 393 million dollars, bearing interest not exceeding maximum legal rate, and maturing within 30 years from issuance?